Hydrating, creamy lotion removes built-up dead skin cells and brightens skin. Specially formulated for dry to very dry skin, this soothing creamy lotion gently exfoliates to reveal softer, smoother and younger-looking skin. Apply once or twice daily after cleansing and toning. Apply a coin-sized amount over the entire face, including the eyes (avoid the lower lash line and eyelids). Do not rinse. For daytime, always follow with a moisturiser containing a broad-spectrum sunscreen rated SPF 30 or greater. Can help shed dead skin cells to renew skin’s surface, visibly softening signs of ageing, particularly from sun damage. Can act as a water-binding agent. Sunburn Alert: This product contains an Alpha Hydroxy Acid (AHA) that may increase your skin’s sensitivity to the sun and particularly the possibility of sunburn. Use a sunscreen, wear protective clothing, and limit sun exposure while using this product and for a week afterwards. As with all cosmetics, avoid direct contact with the eyes. 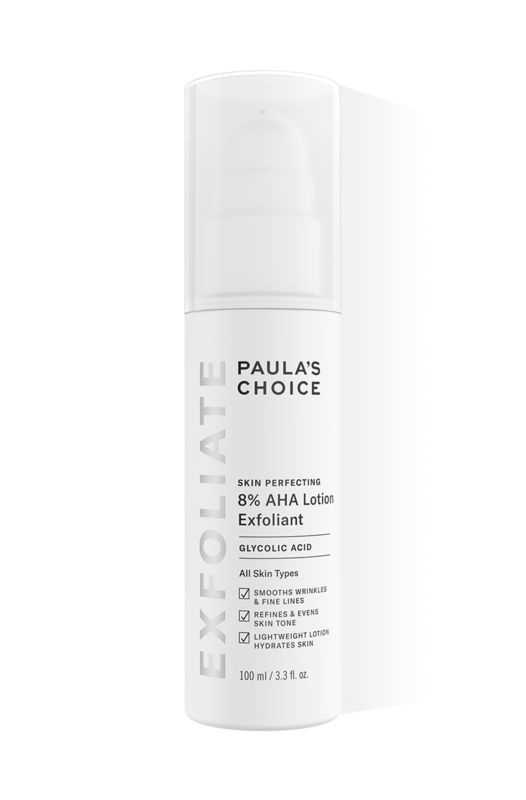 This product is an exfoliant and your skin has to get used to it. Build up use from once a fortnight to 1 to 2 times per day. It may take some trial and error to see what is the best frequency for your skin. I have dry but sensitive skin. Can I use this AHA exfoliant? If you have sensitive skin, we generally recommend choosing a BHA exfoliant. This is because a BHA also has soothing and anti-inflammatory properties, which are beneficial for dry, sensitive skin. Rich, creamy cleanser that thoroughly removes makeup and debris without stripping skin. Rich milky toner soothes and replenishes ultra-dry, flaky skin. Hydrating serum leaves skin looking radiant and protects it from environmental damage. Rich and soothing restorative moisturiser for effective hydration.